Flight comparison website, Skyscanner, has revealed its top tips for when to book your flights. According to its research, 80% of travellers wouldn’t know whether a fare offered good value for money or not. So, Skyscanner has launched a handy tool to show when it’s the best time to book. You can also set up an email price alert for any flights you’re searching. 1. Book smart – Lower costs by travelling at less popular times of the day. Also avoid peak season travel. 2. Be flexible – If you’re open to different destinations then run a search on ‘everywhere’ to find the countries with the best value flights at any time. 3. Compare and contrast – Using travel comparison websites can compare the widest range of airlines and online travel agents to help to get the best deal. 4. Track prices – Keeping an eye on prices a few months in advance is the best way to find a good value flight. Skyscanner also has a table of average prices and best times to book at some of the most popular destinations for travellers from the UK. We put so much faith into the automated and computerised systems used to book flights that it’s hard to believe that sometimes things can go wrong. First, US Airways passengers who had their boarding passes sent to their mobile phones, found that a glitch in the system had produced passes with the wrong names or flight numbers. The airline said it affected passengers using the US Airways mobile site or app, which had been rolled out this summer. The problem was finally fixed after about three hours. The next, much more fortuitous blunder came from United, when for a couple of hours the computer system accidentally loaded $0 fares and sold them on its website. Word spread on Twitter and even with airport charges, some passengers got tickets for just $5 or $10. Once the airline found out what was happening it shut the website down “for a couple of hours.” The site was back up by 2.30pm New York time, and so were the prices. United has not yet decided if it will honour the tickets. 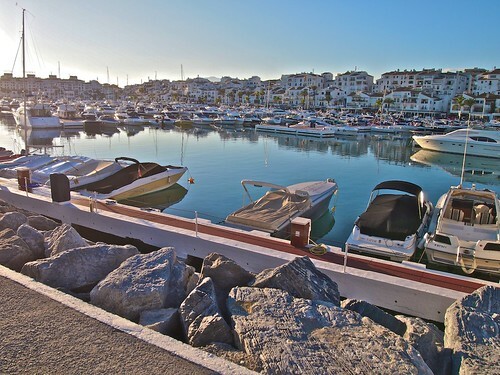 An extremely popular holiday destination, Puerto Banus is to the southwest of Marbella, on the Costa del Sol. 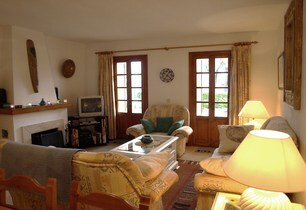 An excellent location for a varied holiday full of activity or relaxation depending on your want. It has a stunning port full of luxury boats and yachts, a popular haunt for the rich and famous. 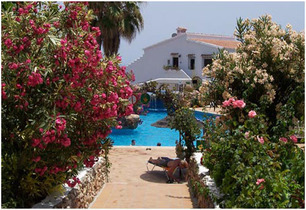 There is a play area for children, a huge choice of restaurants and bars, shopping and variety of beaches to visit. A split persona of a place; relaxed with a great cafe culture during the day, and buzzing with life and music in the evenings when the clubs open. Catch cheap flights to Malaga Airport from the UK and either get a regular bus, hire a car or get a taxi to Puerto Banus. How about this pretty poolside villa between Puerto Banus and Estepona, sleeps 4 with master bedroom with balcony looking over the pool and twin bedroom with single beds, an ample family bathroom and large living area with open plan living room, dining room and kitchen. 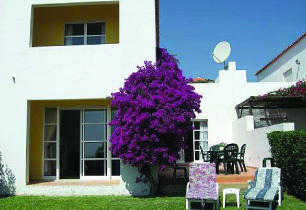 Double doors lead out onto a private sun terrace which overlooks one of the pools and gardens. 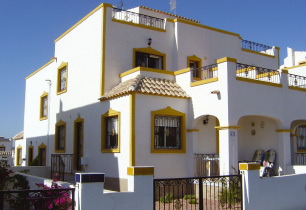 This villa currently has some availability in August, but if you can’t find the date you want, then we have plenty of properties in the Puerto Banus area and across the Costa Del Sol. Families in Northern England are flying from Scotland in order to save up to £500 on the average family break when flying to the same places from England. The reason for this sudden change in departure point is because of the difference in school summer holiday times between England and Scotland. The Scottish summer holidays finish at the beginning of August, meaning that the peak travel period in Scotland ends with the Scottish school holidays. Scottish travel group, Barrhead claims a 20% rise in English holidaymakers choosing to fly from Scotland to cut the price of their trip. Chief executive Sharon Munro said: “As the Scottish school holidays finish at the beginning of August, we’ve discovered a notable increase in the number of English families looking to travel towards the end of August from airports in Scotland in a bid to reduce the cost of their holiday. School holidays and peak travel prices are a hotly debated issue at the moment. The recent news that schools will be able to decide their own term dates from September 2015 has caused concern that this will lead to longer peak price periods. See the full news article here. The first new routes have been announced by BMI Regional since it was sold by British Airways to Sector Aviation Holdings earlier in the year. From 29th October of this year, the airline will offer twice daily flights from Bristol to Aberdeen and Manchester to Antwerp. The airline is still operating under a transition agreement from BA, so flights can still be booked at the original website here for the moment. 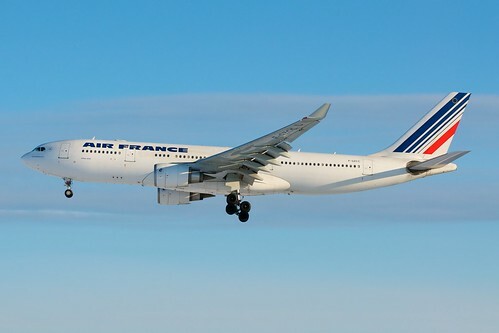 By the end of October however, the carrier will launch its new website and operate under its own new flight numbers.